The Mormon Pioneer National Heritage Area is making significant strides. During the recently completed annual reporting period, the MPNHA granted $235,000 for 30 projects, including the restoration of the Casino Star Theatre in Gunnison ($25,000); the first phase of restoration of a Civilian Conservation Corp. and World War II POW camp in Salina ($25,000); rehabilitation work on Miss Mary’s Historic School in Salina ($10,000); and restoration of Pierce Hall at Wasatch Academy ($15,000). During the year, the MPNHA worked with partners from both the public and private sectors including the Utah Division of State History, the Casino Star Theatre Foundation, the Miss Mary’s Museum Committee, Salina City and Wasatch Academy supporters. 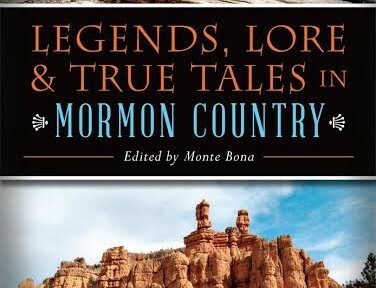 Along with these projects, the MPNHA published “Legends, Lore and True Tales in Mormon Country,” a collection of stories about the lives and experiences of people who settled Sanpete County. The volume has been placed in libraries and book stores both in the heritage area and along the Wasatch Front. In 2016, the MPNHA will help fund restoration of the historic Mt. Pleasant City Hall and Armory ($5,000) along with providing continued funds ($10,000) for the restoration of the historic administration building on the Wasatch Academy campus. It will also provide funding for architectural work for the third phase of the Escalante Hole-in-the-Rock Heritage Center ($5,000), for phase four of the Mt. Pleasant Equestrian Center ($5,000) and to help develop a biking trail at the Jacob Hamblin Park in Kanab ($5,000). ### The Mormon Pioneer National Heritage Area includes 400 miles of glorious scenic byways, a vast array of wildlife, the best of western living, cattle and sheep ranches, and colorful mountain vistas, all within a trip on Utah Heritage Highway 89.